Driven by his curiosity about the human story, particularly with respect to its relationship to gods and humans’ continuous evolution as a species, Ronald A. Williams wrote the “First People’s Saga,” a series of books that explores the journey of humanity from the beginning to the point of where their evolution made them god-like, while exploring the pitfalls of all those changes. 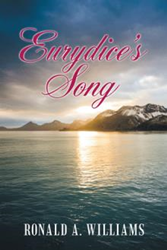 Following the release of “A Voice From The Tomb,” the first book of the series, Williams is back in the literary scene with the second book “Eurydice’s Song” (published by Archway Publishing). The story creates a new world in which adventure, love and danger are intertwined. Ten years after Andreas is reunited with his wife, a war with his bother-in-law, Natas, is brewing in the land of Tiamat, situated below the ice of Antarctica. In the world above, Natas is also manipulating China and the United States into a deadly conflict. Andreas and his wife Eurydice must fight to save their love, as well as both worlds. To purchase and to know more about the book, interested parties may visit https://www.archwaypublishing.com/Bookstore/BookDetail.aspx?BookId=SKU-001204733. Blending fantasy with political and human situations, “Eurydice’s Song” offers a contemporary and recognizable set of political circumstances, but they are situated in a very unfamiliar context of gods, unknown and known, potential alien influences masquerading as divinities, all supported by a powerful love story that struggles against all odds.